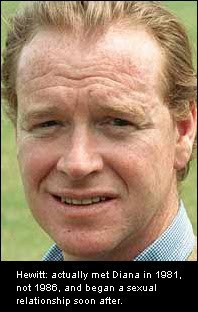 Try putting a photo of prince harry alongside a photo of james hewitt. james is without doubt harrys father, they look too similar to be anything else. So if anything happens to Charles and William - will Harry be allowed to become King is his father was not a Windsor? Harry is a Spencer , who legitimately should be Kings in Britain. So Please, Harry is fully legitimate. Also, Charles says Harry is his son, so that should be it. Lord knows who the lad's father is....could be anyone. Harry is not the only royal fathered by someone other than by the legal husband. It looks as if there were more than three of them in one`s marriage. Aerocity Escorts net blog page weblog and also have changed into some notable bit.